At approximately $1700, the Optimus Maximums gaming keyboard may not break your bank balance, but whether or not a lot of us would prefer spending that amount on a keyboard with little or no practical advantage over a “normal” high-end gaming keyboard is certainly not beyond the realm of doubts. So, what makes Optimus Maximus so pricey? Does it have an “autopilot” mode that stands-in for you every time you have go on a loo-break or something? No, it doesn’t. But hey – each individual key in the keyboard is a 65,536-colour, 48 x 48 pixel, 10 frames-per-second, and customizable OLED screen. Oh, and by the way, for reasons unknown (and unfathomable, if I may add), someone actually shelled out $2750 on eBay to own it. If you still own a factory sealed copy of some late 80’s limited edition video game, then rejoice! Here’s an inspiring tale for you. 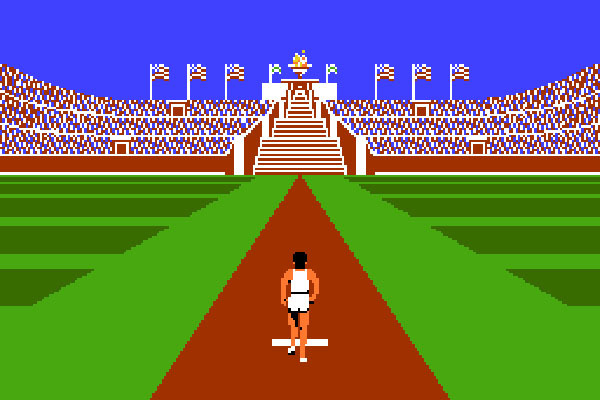 In January 2011, Stadium Events – a long forgotten game originally developed in 1987, was sold on eBay for a whopping $22,800. 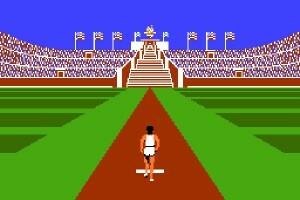 Considering that the game was originally priced at $49.95 back in 1987, the seller made an astounding 45,600 per cent profit. Apparently, there were only 2000 copies of the game of which 200 had been sold before the project was dumped for eternity). As of today, no more than 20 of those copies still exist. This one’s for all racing game enthusiasts with spare $25,000 in their bank balance (or maybe pockets – depending on how filthy rich they are). For that price, you will get four Xbox 360s, three 37-inch 1080p HD LCD displays, a 7-inch adjustable rear view “rear view” display, a Microsoft steering wheel, automotive seat slider equipped with suspension base, 1500 watt vibration system, Boss Surround Sound, 1900 watt power amplifier, four copies of Forza 3 and a bar fridge. 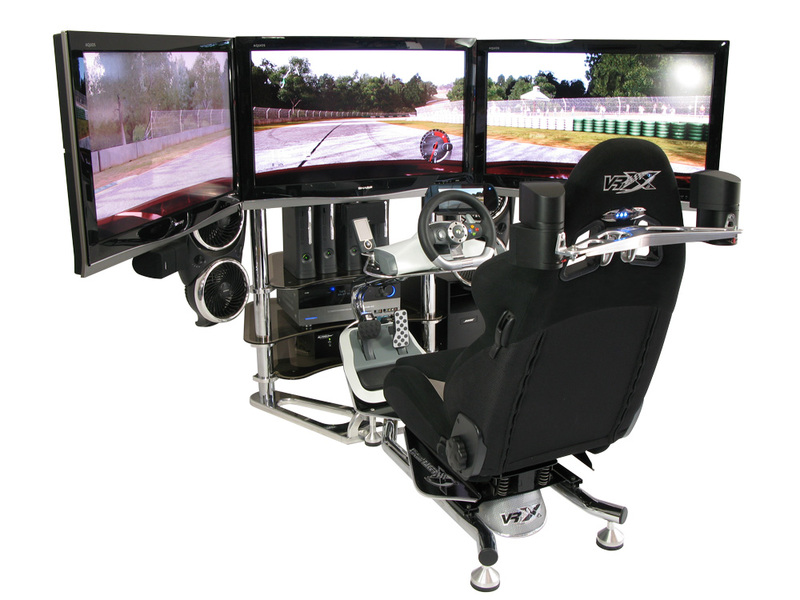 If you did not find the VRX Mach Racing Simulator impressing enough, then here’s a $40,000 heavy weight (quite literally) that shows how far some people are willing to go to satiate their seemingly never ending appetite for video games. 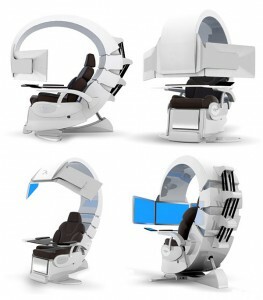 Weighing a little over 175kg, the Emperor Workstation 200 brings with it three 19-inch LCD monitors (synchronized); a built-in PlayStation 3; a 7-inch LCD touchscreen control interface; noise cancelling headphones (wireless); its own lighting system, an all-leather recliner; and a Blu-ray disc player. To this day, we haven’t been able to figure out WHY; but not so long ago, some good folks actually started thinking that ridiculously expensive gold-plated gaming consoles could buy you class. 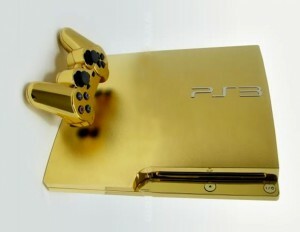 Why else would they make the PlayStation 3 Supreme – a 22-carat gold-plated console with a disc loader made of 58 0.50-carat diamonds? 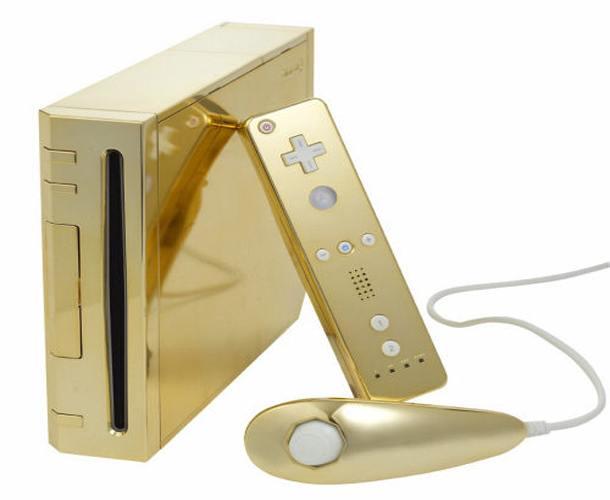 If that doesn’t sound stupid enough (or if you are a Nintendo loyalist), then how about spending half-a-million dollar on the Wii Supreme ($485,000) made of expensive bling-bling metal?